Jo’s aroma massages are in my opinion quite magnificent. The setting is very peaceful, calming and relaxing so even just walking through the door you feel yourself begin to relax immediately. You can smell the oils instantly you enter the room which is a delight to the senses! Jo’s manner is very tranquil and uplifting so this puts you at ease straightaway. She makes sure you have privacy and are comfortable before setting to work. Her techniques are skillful, practised and very effective. She uses just the right amount of pressure and manipulation in her movements. I have drifted off several times where it is so relaxing and therapeutic! I particularly love the back massage, and didn’t know it before, but I now love Sandalwood! Well done Jo – keep up the good work! Highly recommended. I first went to see Jo for support for our son and then asked for sessions for myself. Although I initially wanted support to lose weight but ended up having support with self esteem and confidence. Jo has been fantastic and although at times I still wonder if I have the strength and confidence to challenge in difficult situations – I do and I can. I would highly recommend Jo. She will make you feel relaxed and at ease very quickly. The studio is very comfortable and set in beautiful countryside. Jo is very professional at all times and her support is in valuable. I was recommended Jo’s services by my counsellor, as I was suffering with anxiety and depression. Jo was very friendly and helpful, and her therapy studio is in a nice and peaceful location. I had her sessions for a few months and it was very professional, relaxing and helpful. 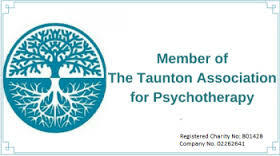 It combines really well with the CBT I was having and medication and really helped me. 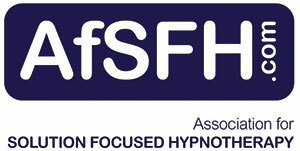 I was skeptical of hypnotherapy beforehand, but have now changed my mind as it was very good. All in all very professional and relaxing, I would recommend her services to anybody that would be willing to give hypnotherapy a try. I went to Jo with nothing to lose and no idea what to expect. I had always suffered from anxiety and had become depressed. I felt completely overwhelmed with my new responsibilities, juggling becoming a Mum and the return to work. Eventually I hit a point of disfunction and I couldn’t leave the house without having a panic attack. I realised something had to change. After the first session with Jo I was totally at ease. She is extremely professional and I was able to be open and honest in a calming, homely environment. Going into a trance isn’t anything like I expected, it’s really relaxing and the positive messages feel subtle but very effective. I look forward to having this time with Jo, planning my next steps and gradually moving towards feeling more in control of my life. My anxiety levels have dropped dramatically, I can make decisions more confidently and I have started making some positive changes towards my future. Jo’s passionate approach and dedication has allowed me to finally discover the real me. I am entering a really exciting chapter in my life but only because I have been given the foundations to do so. I would definitely recommend Jo to anyone who wants to overcome inner challenges. I started to see Jo in Feb 2016 after a relative spotted her advert in a local magazine and thought I should ring her to see if she could help me with my anxiety issues. I’m so glad I did! Now, six months later, I feel I am so much better equipped to deal with my anxiety, and finally feel like I am in control of my life again. Under Jo’s expertise and uplifting, easygoing manner, I have found that my self-esteem and confidence has increased immensely, and that I generally feel so much more positive about life and, importantly, myself. I am more able to put things into context and into perspective. With her focus on the future me, rather than the past me, I have proudly overcome some big obstacles – I gave a speech in front of a big crowd of people (something unthinkable a year ago), I have driven to places where I haven’t been before and where once I would have been scared and anxious of driving to, I got through my first job interview in years (and got offered the job), I am learning to speak up for myself, I feel happier, and generally feel I can cope with life and life’s challenges much better. I am also dealing with the grief of losing a best friend a lot better than I would have previously. Jo’s techniques are really good – I have made constant use of ‘rewind’, have a much better understanding of the cycle of anxiety and how the brain works, how to recognise and control my negative forecasting of the future, and, when needed, recognising how my breathing grounds me and makes me focus on the here and now. I also love being up on the couch, and have drifted off to Jo’s lovely melodic tones several times! Even the location of Jo’s studio is calming and peaceful! Jo herself is very understanding, patient and leaves no stone unturned. Charming, positive and honest also spring to mind. I am still a work in progress, but want to say thank you so much Jo, you have helped me come a long way. I shall always remember the chimp and the ball-bearing!